This is according to a report launched by WWF-SA in Johannesburg today (23 November 2011), titled Coal and Water Futures in South Africa: the case for conserving headwaters in the Enkangala grasslands'. "WWF-SA understands the key role that coal and coal mining plays in the South African economy as well as the country's energy generation. However, we'd like to urge government to implement better coal mining practices which entail planning mining activities in strategic areas that do not compromise critical water resources and ultimately, the country's water security. We therefore call on government to define and declare mining sensitive or ‘no-go' areas," says Christine Colvin, Senior Manager of WWF's Freshwater Programme. The report, compiled by WWF-SA in collaboration with the Council for Scientific and Industrial Research, is based on research and engagement with the South African mining and water sectors and other stakeholders. Case studies conducted in the Olifants catchment (where coal has been mined for the last 100 years) and Enkangala grasslands detail the current costs and impacts of coal mining on water resources. According to the report, only 12% of South Africa's land area generates 50% of the country's river flow. This highlights the need to plan the development of our landscapes to protect the country's most important water, soil and biodiversity resources. "Our already stressed water resources are under threat from coal mining operations located in important water provisioning catchments. Whilst many South Africans presently survive with limited or no access to energy, none can survive without water," says Colvin. "This fact alone should always guide government thinking in terms of strategic location of coal mines when confronted with potential impacts on water supplies". 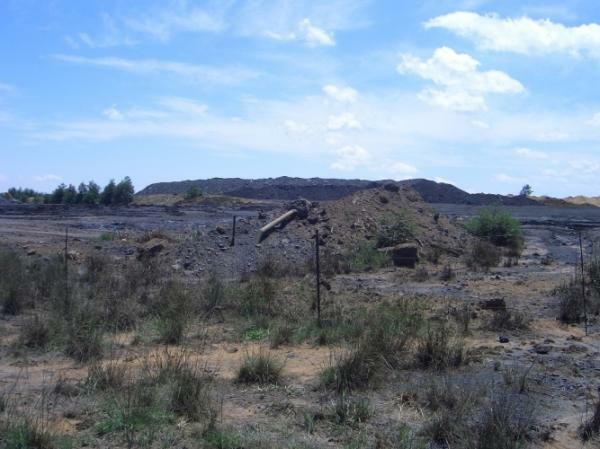 Colvin adds, "The consequences of abandoned mines and resultant Acid Mine Drainage (AMD) in the gold mining areas of the Witwatersrand basin as well as the coal mining areas of the Olifants catchment are well known. At a national level, policies and strategies to clean up some of the pollution from gold mining have been established. However, on the ground, prospecting rights for coal mining are being issued in the headwaters of our most precious and sensitive catchments". The report also examines how prospecting is unfolding in the relatively pristine headwaters of the Upper Vaal, Thukela and Pongola, where critical water source areas are threatened by new mining. According to Angus Burns of the WWF Enkangala Grasslands Programme, "These headwaters are sourced from the Enkangala area which receives more than twice the average national rainfall and generates nearly three times the average run-off compared to the rest of South Africa". "As a water scarce country, South Africa should be prioritising catchment conservation - particularly for these river systems which feed the Durban and Gauteng metropolis. Instead prospecting rights are being granted which, if converted to mining rights, would threaten water security, food production and agricultural jobs," explains Burns. The report also indicates that between 2005 and 2010, approximately 13.7% of Mpumalanga was already under rights application and 40.3% was under mining rights applications. This means, 54% of the province was under some form of planned mining activity. The report identifies a number of shortcomings around mining which poses risks to South Africa's water security. These include weaknesses in: the legislative process and co-operative governance; the application process; enforcing regulations, in the Environmental Management Plans (EMPs) application process; as well as weaknesses in the decommissioning process. "The discrepancy between the sound laws governing mining in the country and the visible ‘coal rush' of South Africa highlights that there are gaps between the written provisions and their actual implementation," says Colvin. In addition to highlighting the impacts of coal mining in ecologically sensitive areas, the report also touches the impacts on the economy (impacts on the agricultural and tourism sectors) as well as local communities. Colvin explains, "Communities who do not have access to piped and treated water supply and are therefore directly reliant on natural water resources are the most vulnerable and often voiceless. For this reason we urge government to act now to prevent further degradation of our rivers and aquifers". In conclusion, the report stresses that extensive mining, whether in a single area or on many smaller areas, can cause major local and downstream impacts and applications should be assessed with extra care. It also recommends that areas highlighted as conservation priorities should preferably remain unmined. Should this be impossible to achieve, then the best practice guidelines should be prescribed as well as practices recommended in the ‘Mining and Biodiversity Guideline', currently being drafted by the South African National Biodiversity Institute (SANBI).